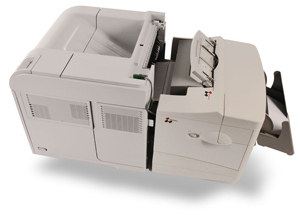 Print, fold, and seal all in one step with the new PSM IN-LINE 6400-6. This streamlined system brings a superb cost-to-value ratio and delivers up to 65 mail-ready pieces per minute. Paper Size Up to 8.5" x 14"
M604, M605 and M606 series printers.